Yorker, Crabapples is a regular hangout for local folks that love New York delicatessens. 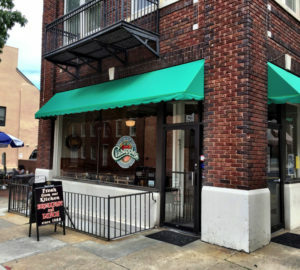 part of Fredrick’s growing reputation as a “foodie” destination. New York attitude that has resulted in being voted “Best of Frederick” year after year! selections, to eat-in or take out. Hours: Mon – Fri 7:30 a.m. – 4 p.m.